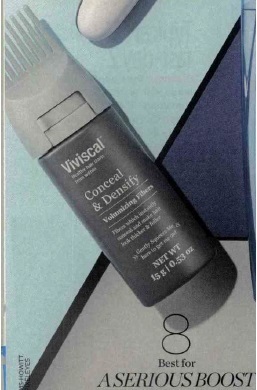 Marieclaire.co.uk featured the Viviscal Densifying Shampoo in a round-up of the best shampoos for hair loss. They have explained that the shampoo contains Biotin, Keratin and Zinc to promote healthy hair growth. You can read the article on Marieclaire.co.uk. In today’s Daily Express they have featured Viviscal Maximum Supplements in an article about beauty supplements. They have mentioned about the development of the supplements and the key ingredient, as well as listing Jennifer Aniston and Gwyneth Paltrow as celebrity fans. You can read the article at express.co.uk. Get the Simon Cowell look - in just 20 minutes. BT.com featured the Viviscal Hair Fibres in a feature in Simon Cowell Get The Look. They have used the fibres in the makeup to give the model a the illusion of thick, lustrous locks. You can read the artcile on bt.com. Viviscal Fibres has won a beauty award in the Woman Honest Beauty Awards 2016! Great news - the Viviscal Fibres have won a beauty award in the Woman Honest Beauty Awards 2016! In the “Best For A Serious Boost” haircare category, the fibres have been described as amazing and a fine-hair saviour. 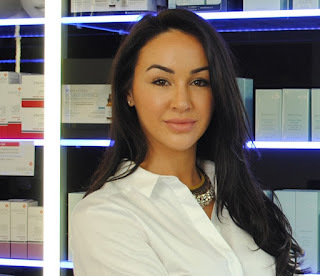 They have explained how the dispenser works to visibly bulk up hair and cover sparse patches. "...Viviscal's latest innovation is AMAZING. It dispenses tiny little fibres that invisibly bulk up your hair to even out sparser patches and add voume you never thought was possible." The Mail Online has featured further quotes from Neil Moodie in a feature about crucial mistakes you’re making that are ruining your hair. Neil has commented on not brushing your hair enough, not leaving on conditioner and forgetting to protect hair whilst asleep. "Neil Moodie, Session Stylist and Viviscal Ambassador, maintains that the most common mistake women make is not brushing their hair enough." You can see on the dailymail.co.uk. Ok.co.uk featured a mention of Viviscal in a celebrity lead feature about postpartum hair loss. Giovanna Fletcher has admitted to suffering from hair loss after the birth of her second child. At the end of the article, the journalist has provided tips on how to get your hair looking it’s best again. She has mentioned that Kate Hudson took Viviscal to get her hair looking full and healthy again. Read the full article on Ok.co.uk. In the Daily Mail there is a feature about Gwyneth Paltrow’s beauty regime, Viviscal is revealed as her secret to good hair. Trichologist Iain Sallis is quoted saying that Gwyneth’s hair was thin-looking before she started taking Viviscal. They go onto to explain that Viviscal was discovered by a Scandinavian professor who discovered the fish protein after studying Inuits. "But the real secret to her bouncy mane, says consultant trichologist Iain Sallis, is daily Viviscal hair supplements, which contain hair-strengthening marine oil, protein and zinc." Viviscal was mentioned in November’s issue of Tatler, within a hair doctors feature. The page several different hair doctors and the treatments they recommend for hair and scalp issues. Independent Nurse, Natali Kelly, explains that after in-clinic treatment for bald spots, she sends patients home with a course of Viviscal to support hair growth. "It bolsters the follicles, Natali claims, and she'll send him home with a course of Viviscal (supplements that support hair growth)." TM Magazine featured the Viviscal Maximum Strength Supplements in a feature about scalp problems. They have recommended the supplements for hereditary hair loss to help encourage and maintain hair growth. "... designed to maintain hair growth by nourishing the hair from within using a variety of essential nutrients. Examples: Viviscal Maximum Strength..."
10 ways to revive your style! Prima featured the Viviscal Maximum Strength Supplements in a feature about how to revive your hair. They mention that Viviscal has been dubbed botox for hair and contains marine extracts, zinc and biotin to encourage thick and fuller hair growth. "Add fibres For instant cover-up gratification, nothing beats hair fibres. It's the kind of beauty science we love, where charged fibres fuse your to your hair, hiding thinning areas, boosting volume and covering greys! How clever is that?"